Vince Russo's The Brand Recap - Raw Analysis, Strowman & Reigns Deliver, Nia Jax's Inexperience, More! Russo is joined on today’s show by his co-host Jeff Lane, and they’ll discuss Monday’s episode of RAW. First, Russo talks about some of the criticism he received from last weeks show. He says that the ‘jackass’ from Pro Wrestling Sheet, Ryan Satin, has labeled him a homophobe because he referred to the dirt sheet writers as potential homosexuals. Russo points out that he couldn’t care less if you’re a homosexual, he’s just calling it like he sees it. Also, there’s no denying that being a homosexual is an abnormality because it is not the majority, similarly to how batting left handed is an abnormality. He says that these dirt sheet writers decided to start labeling him a homophobe because they wanted to change the topic from the fact that they have no credentials in the wrestling business. 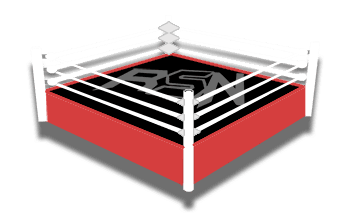 Russo says that RAW this week actually wasn’t a bad show, but it also was an example of why there shouldn’t be a brand split in the first place. He says that their roster as a whole is very talented, and when they’re all on the same show, creative has an opportunity to do some interesting things. He says that his criticisms of WWE usually derives from the fact that they don’t put any effort into their shows. He thought that they put some effort into Monday’s show, and that angers Russo even more. WWE proved that they’re capable of writing half interesting television, so why do they do it only once every three months?